The Student Textbook is divided into 129 lessons, all of which are included in the Checker. 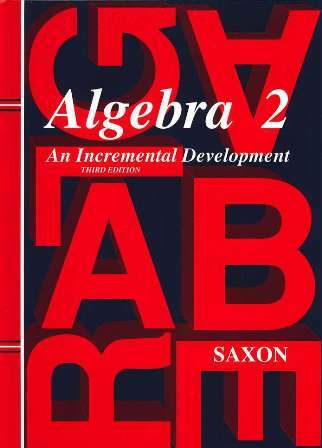 The textbook also contains an illustrated glossary, a comprehensive index, and answers to all practice questions and odd-numbered problem set questions. The Answer Key contains answers to all textbook questions. You will need the Answer Key when using the Checker (for example, for checking the occasional question which is too graphically complex for the student to enter into the Checker via their keyboard). The Homeschool Testing Book provides all the tests needed by one student to complete the program. There are 32 tests, all included in the Checker. 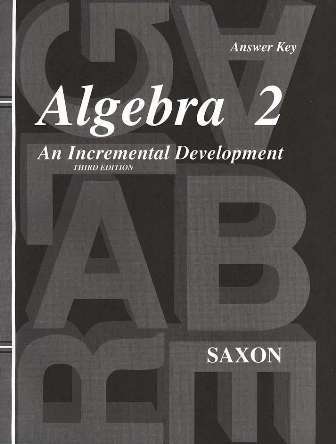 The booklet also contains step-by-step solutions and answers for all test questions. 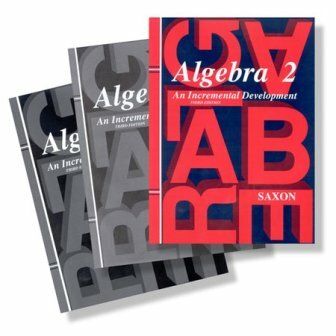 Many parents purchase the three books described above together as the Saxon Algebra 2: Third Edition Homeschool Kit rather than purchasing the pieces individually. Copyright ©2019 Aardsma Research & Publishing. All rights reserved.